Last September I participated in a Social Studies Chat (sschat.ning.com) #sschat on teaching about Syria. I was teaching a current affairs class at the time and that was the country I was teaching about in a few days. I had already done some research and could share what I had found, and I benefited from the best ideas everyone else had found. We were encouraged to include all our ideas on a shared Google doc and by the end it help a treasure trove of ideas for super-engaging lessons on Syria. As a result of this Twitter chat I think hundreds of students all around the world benefited as teachers had collaborated and shared and discussed how to make the news understandable and relevant to various age groups. Started #SocialChat with co-host @SocialMichelleR back in January 2011. We saw an absence of any TwitterChats focusing on the both the technical and business side of Social Marketing. The two of us kept high jacking several chats we were on as kept bring up social issues. We were encouraged from the people behind #SEOChat start our own. We then went out and researched what day and time we wanted to maximize our potential reach primarily in North America. We decided on Monday’s at 9pm Easter for several reason. This included our personal availability and the absence of competing chats. Since are debut several other chats have appeared in that time slot and frequently forces several of our regulars to multitask between to chats. We recently completed our 170th chat and during the past 3 years we learned a few things. This includes the importance of getting topical guests on a regular basis, how many questions are ideal for our 1 hour time slot and the best way to write those questions. Our questions not only get the guest to focus and allow for a logical flow to the chat, but also incentivising our audience to comment, asked additional questions and on many occasions add alternative ideas. During this period on many occasions, we have been frequently listed as one of the top chats not just for Social marketing but online marketing and business as well. This has included a list by Mashable. One major highlight that I always remember is the first time we took a break over the Christmas/New Year’s period. By chance I was at my computer that Monday night saw at least a half dozen people show up asking what the topic was for the night. I tweeted that we were on vacation that night and they proceed to have their own chat on our hashtag. That was truly a sign that our chat had arrived. From the beginning, my Twitter Chat participation has been about education: I want to learn more about crafts relative to my own focus (writing) … and Chats are an excellent means of sitting in a class with the experts. As I began to participate regularly in Chats, I noticed that I would sometimes get recognized by others when I signed on. That meant I was building my personal network and becoming part of an online Community. For me, that was a welcome (but unexpected) benefit. A couple of years down the road now, I find the social aspect is important to me. I will attend Chats where the subject matter isn’t something I am burning to learn — just so I can support the Group. To me, that is a significant turn: I belong and I care. Chats are no longer all about getting. I can also give. The last Chat I attended was for #MyBlogU. I love the potentials of the new tool, and I am an ardent supporter of Ann Smarty. To me, Ann personifies how helpful and avant-garde the internet can be. My schedule would not permit staying for the entire Chat, but I showed up to support the Group and participated as best I could. Moreover, since the MyBlogU Chats are summarized, I can still glean the valuable information presented there. 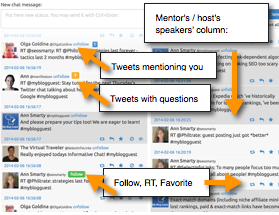 My take on Twitter Chats, in a nutshell: If you aren’t participating, you are missing out on some big benefits. Find Chats that resonate with your own interests … and get involved. Your time and effort will be well rewarded. Don’t use Twitter like a free advertising tool. Use it as a learning lab and a Community gathering spot. A shoutout: My social media mentor is Deborah Anderson, creator of the Social Web Cafe. She encouraged me to get involved with Twitter Chats and is always there when I need advice. Thank you, Deborah! I recently ran a Twitter chat for a client, and the first edition of the now-weekly chat exceeded my expectations. It was outstanding in terms of social engagement and brand exposure, as I asked a series of questions over the course of an hour, all of which received a over sixty mentions and over thirty retweets. Perhaps the most rewarding part of it was multiple users saying that they were excited for the following week’s chat. There are benefits to it, and nailing down the right hashtag is important too! Often co-host officially or unofficially. Go out of my way to promote Twitter chats for others and teach people to use them. Why should you participate in Twitter chats? They grow your brand awareness, they build relationships, and they can bring clients. They are a great way to network and learn perspectives that may be different than your own. I’ve used twitter chats to drive traffic back to my site increasing my newsletter subscribers, as well as to build long lasting relationships with people in my field. I have been participating in the MyBlogU Twitter chats. This was my first experience with Twitter chats and I had no idea what to expect when I began attending weeks ago. What I found out was that not only was the experience fun, but it brought me additional Twitter followers, new information on the topic, and great inspiration to continue to participate. Everyone is there with a purpose, so the interactions are friendly and encouraging. 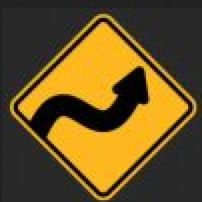 Plus, every time I attend I learn something new or am provided a link to an example to explain or show me more – which usually in turn gives me with another great resource to follow up on in the future. I might be considered new to the Twitter chat scene, but so far I really enjoy it! I am a Twitter cynic, totally. I always compare Twitter to a football stadium full of people all shouting different things and not one of them listening. Twitter chats changed my views on the usefulness of Twitter. I have made contacts through the #myblogu and #vcbuzz that I value and who seem to value my opinions. My first experience with a Twitter Chat was amazing, thanks to the help of Ann Smarty and MyBlogU team. (9 Experts Share Their Best Ways to Get Web Traffic). The hashtag chosen was #smartmz and the archive of the Twitter Chat is here. I found out the experience an effective way to expand my audience, enhance my connections and increase my authority. I look forward to organize my next Twitter Chat very soon. I haven’t been active on twitter for the last few years mostly because I was wrong about my initial impressions. Twitter chats are awesome – but if, and only if – it is being managed by a great community manager. I’m on a different time zone so it becomes a bit difficult to join these chats and participate effectively. I’ve met very interesting blog and marketing professionals over at #blogchat held by MackCollier. I just like to listen and learn from experienced professionals. These days, it’s very easy to get the wrong impression about blogging and participating in these got me a more well-rounded world view. Twitter chats increase Klout scores. By no means an accurate measure of real influence – since I’ve always observed that real power is often silent and works behind the scenes – It is important for professionals who work in the industry. As a blogger and freelance writer, I’m an industry outsider but I’m finding that most of what I do intersects with the parameters included in these chats. Klout scores may not be perfect but it is the closest thing we have to measuring these kinds of things. Emergency services. Though twitter has been having some issues with hijacked hashtags, I think they’ve done a pretty good job of disseminating vital information from credible sources. As we deal with a global community beset by a lot of disasters, I believe that this is big and is going to be big for the near future. Yes, there’s a lot of bad information out there, but we can verify that by checking the authenticity of the accounts. This general overview is intended to give a bird’s eye view of the broad experience and perceived impact of participating twitter chats on the company’s new twitter business account. It is merely an opinion based on a non scientific evaluation of related benefits and consequent impact on its twitter following, retweets, reach, impressions and twitter influence. Patant Consultants has joined in on business related twitter chats covering a range of topics including blogging, small business branding, social media, managing small business, tools for managing social media or raising business productivity, online networking, business trends, etc. #BlogChat hosted by @MackCollier every Sunday at 10pm Est is a vibrant and closely knit twitter community whose discussions generally take an informal style including an open mic session once monthly, and periodic appearances by blog or content marketing experts. In contrast, #BlogHour organized by @UKBlogAwards every Tuesday at 5pm Est. 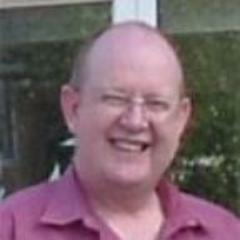 This blog chat takes on a more formal question and answer format and concentrates on UK Blogs. Our involvement in these Twitter blog chats has given us an opportunity to demonstrate our knowledge, learn, and exchange ideas on new trends, tools, techniques or strategies relating to blogging. #MMChat hosted by @JeffAshcroft and known in twitter circles as Monday Marketing Chat takes place on Mondays at 8AM Est. Participants discusses various elements of both offline and online marketing. #MediaChat is a weekly chat hosted. The chat participants have a great spirit of camaraderie and this twitter chat community is very inviting of new participants. Other top marketing twitter chats are #BrandChat and #MediaChat. #BrandChat specializes on tough issues affected brands. It is hosted by @brandchat and takes place every Wednesday at 11 am Est. #MediaChat takes place at 10pm Est every Thursday. Both chats follow a formal structure and deal with technical aspects of social media, public relations and general media advertising and branding, respectively. Both #MediaChat and #BrandChat force participants to look examine the intricacies of branding and marketing, with #Brandchat often bringing into sharp focus the branding strategies and activities of major brands or highly innovative brands and putting into context the effectiveness or otherwise of their strategies. Both chats call for deep introspection and analysis. #CXO on the other hand deals with issues affecting customer experience and has a formal question and answer format with guest interviews of top industry influencers that are breaking new ground in enhancing customer experience online. This chat takes place every Monday starting at 12pm Est. We also participate in two major twitter chats directly associated with discussing small business issues on twitter. #CEOBootCamp hosted by @CeoBootCamp takes place every Tuesday at 2pm Est while #SmallBizChat hosted by @smallbizlady occurs every Wednesday from 8pm Est. Both of these social media chats deal with entrepreneurial experiences, the challenges of managing a small business, and practical solutions for survival. #BufferChat follows closely after #BrandChat and is hosted by @nmillerbrooks of @Buffer, the twitter account affiliated with the well known Buffer App. This online chat deals with a broad range of issues relating to social media, online marketing productivity and strategies and tools for improving management social media marketing accounts and enhancing the experience of followers. The chat is actively geared towards engaging Buffer users and prospects with a view to discovering new ways to enhance their product experience, whilst also broadening the company’s “Youtility” to its customers. Opportunity to demonstrate our expert knowledge on industry relevant issues and to be engaged by other twitter accounts. These engagements have occurred whether or not these accounts are participating in the chat, and including during and outside of the twitter chat period. Even at this early stage, prospective clients on twitter are beginning to recognize us as the “Go To Person” for pertinent information on best business practices, emerging business trends and the best tools. Bloggers and other industry experts are also reaching out to get our views on new developments and hot topics. We have thereby been able to create invaluable relationships with a wide cross section of persons within our target audience including small business owners, managers, employees, startups, work at home moms and momprenreneurs, solopreneurs, digital nomads and retirees who are looking to retool themselves and leverage technology to their competitive business or career advantage. Whilst we have no way of establishing the direct impact of our participation in these twitter chats, we do believe that our attaining of our first 1000 followers and the other benefits experience in the space of just a few weeks to be directly associated with our participation in these chats. Patant Consultants is pursuing a broad based strategy for growing its twitter following and engaging the twitter community, of which its participation in twitter chats, is only one element. We believe that our participation in twitter chats present a unique opportunity to increase engagement with our following or our targeted twitter community. As an E-commerce services company it’s extremely important for us to stay on the cutting edge of what’s happening in our industry, as well as the industries that of our targeted client groups. We are also pre-occupied with market leadership and emerging online business trends. Twitter chats present an invaluable opportunity for intellectual exchanges and an opportunity to test my ideas. Participating in twitter chats has enabled our company to accelerate our efforts in online relationship building with potential customers, other industry experts and influencers within our niche, as well as creating other collateral benefits. Our regular participation has created a growing camaraderie with other business thought leaders and influencers, who are now reaching out to connect with us on other social media networks. It’s also translating into more retweets from business bloggers and prospective clients are beginning to recognize us as the reaching out to in my twitter community, who joined my community as a result of our encounters in these twitterchats. We hold the view that the impact of our twitter chat participation has been significant. In particular, after participating in 3 twitter chats in 1 day, we experienced an increase in our twitter following of about 150-200 new followers that same day. This is significant, for a newly established account employing low budget twitter marketing strategies at the moment. This is particularly impressive given that we were not pursuing an aggressive follow strategy at that time, as a means of growing our twitter followers. We have also seen a significantly positive impact on our twitter influence as these chats provide us with an opportunity to directly engage our target audience or other industry thought leaders on issues within our area of expertise or relating to our service offerings. We are greatly satisfied with the results and perceived impact and benefits and as such our company intends to increasingly integrate participation in twitter chats into our overall twitter strategy. Twitter chats created an opportunity for our brand to connect with like minded individuals and businesses on twitter and to exchange ideas around topics of mutual interest. Participating in twitter chats has been a laser targeted strategy for connecting with other experts in our niche, as well as prospective customers. This medium has enabled our company to crowd source information and establish our authority in our niche as a thought leader, while raising online visibility. This has created an invaluable path to attaining greater brand recognition for our company via social media. In our view twitter chats have presented us with the most rewarding opportunity to integrate into the twitter business community and to engage new and prospective followers while immediately bringing value to their experiences in tweeting with us. Our company has already identified a list of other business twitter chats and we plan to also partake in these discussions through a managed process which we will look to streamline in the coming weeks and months. We love sharing with small businesses as a means of driving their success. Twitter chats afford us yet another opportunity to make affordable small business solutions and opportunities possible, through a laser targeted strategy for creating powerful online connections through meaningful engagement, and a sound platform for building business and customer relationships online. Alan K’necht Public Speaker & Founding partner at Digital Always Media @digitalalways, co-host of #SocialChat Mon 9pm Eastern & Author of The Last Original Idea. Austin L Worked with E-commerce businesses ranging from TechStars funded startups to mom and pop shops. I focus on optimizing retention, cart recovery, and maximizing funnel conversions. 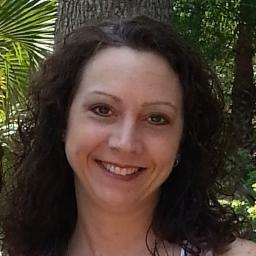 Sandy I am an IT Project Manager, PMO Lead, Blogger, and Freelance Writer. I enjoy writing for a variety of genres including technology (my niche), entertainment, health, parenting, lifestyle, and even creative writing. Danny Garcia Blogger since 2006. 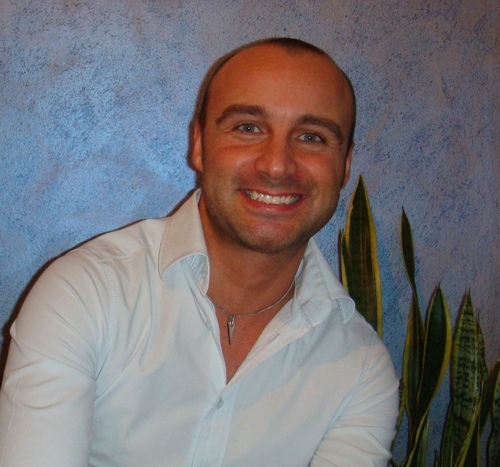 Freelance writer for hire. Dad. 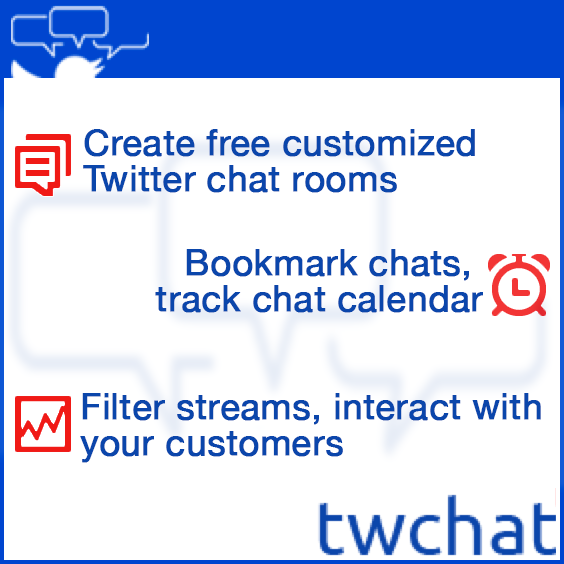 ‹ How to Use TwChat to Participate in Twitter Chats? How to Use TwChat to Participate in Twitter Chats?